Sanjay Leela Bhansali is a director known for the grandeur and majesty of his films and Bajirao Mastani is yet another proof of that. The period drama, which has been a longtime dream of the director, stars Priyanka Chopra, Ranveer Singh and Deepika Padukone in the lead roles. The movie was released in theatres on 18th Dec 2015. Bajirao Ballal played by Ranveer Singh is the braveheart Maratha leader, who wants to create a unified Hindu nation after overthrowing the Mughals in Delhi. Bajirao meets Mastani played by Deepika Padukone, the Muslim daughter of King Chhatrasal of Bundelkhand, when she comes to seek his help in freeing her motherland from the clutches of the Mughals. The two soon fall in love and even get married. Back home, Bajiro’s wife Kashibhai and his widowed mother played by Priyanka Chopra and Tanvi Azmi respectly eagerly await the arrival of their son, unaware of his marriage to the Muslim girl. Will Bajiro’s family accept this inter-religious marriage and will Kashibhai be able to overcome the sense of betrayal is what remains to be seen. 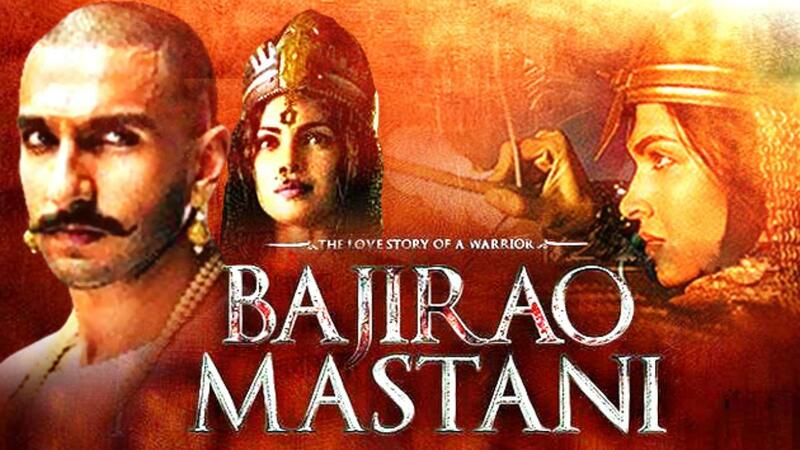 Bajirao Mastani had been in making for quite some time but the end result is definitely worth the long wait. Sanjay Bhansali has a great gift of narrating epic love stories with a colossal backdrop and Bajirao Mastani is no exception. As for the performances, Priyanka and Ranveer steal the show and although Deepika has performed well, she has not been able to blend perfectly into the character of Mastani. The music of the film has already been topping the charts and has enhanced the popularity of the movie in a significant manner. Overall, Bajirao Mastani is a beautiful movie that is full of the emotions of love, patriotism and sacrifice and IndiaCafe24 gives it a rating of 4 stars.